Yesterday, May 17, 2018 (@34:30- 52:48), talk show host Glenn Beck made this remark ” . . . so we lynch a guy from time to time” — he said it in a jokey way using a fake Southern or rural accent. It was said in the context of a story he was doing about an incident at a Cheesecake Factory restaurant in Florida, where a customer was wearing a ‘Make America Great Again’ hat. Beck describes the customer as ‘a black man’ who was having dinner there with his girlfriend’s family on Mother’s Day, May 13, 2018. “It was a modern day lynching,” Beck said. He then made a comparison to the Starbucks incident, saying “those guys were completely in the wrong” because they “violated store policy,” yet Starbucks took full blame and apologized. 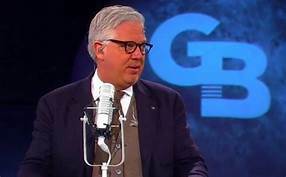 Glenn Beck is a shock-jock. I get it. But he also fashions himself as a serious student of history. The history of lynching in this country is about the most serious history we have. Therefore, it is indeed shocking, disturbing, and disrespectful for Glenn Beck to directly allude to lynching in such an inaccurate and cavalier way. The young black man at the Cheesecake Factory was not lynched. He ostensibly was harassed in the public sphere for his political preferences, but he was not bodily harmed. Lynching has finally been confronted by the great work of Bryan Stevenson and the Equal Justice Initiative in Montgomery, Alabama. Any diminution of that heinous, generational, extra-judicial terrorism that white people inflicted upon black people in the South after the Civil War and for the next 100 years should be called out and discouraged. What happened at the Cheesecake Factory was bad, but it was not murder. And it should not have been rhetorically elevated to the level of lynching. For Glenn Beck to do so is racist. Therefore, sponsors and advertisers on the Glenn Beck program should be advised to withdraw their ads so as not be affiliated with a person who casually yet histrionically tosses about the word and act of lynching. Glenn has joked about poisoning and killing people before. He likes to pretend to be a serious thinker, but he’s crazy. Yes, for sure! Nice dog!